Joseph was born in Grand Rapids, Michigan, in 1924. He always wanted to become a priest and specifically a missionary in South America. He went to school but struggled with his grades and studies, which became a real obstacle in pursuing his dream to become a priest. Finally he was ordained a priest in 1950. Fr Joe served at a few parishes in Wisconsin, but he didn’t forget his desire to be a missionary. He asked the Bishop to be sent to South America and his request was answered when he was sent to Bolivia. Upon arriving, he was handed a machete by the local bishop so they could hack through the jungle and locate a place to build a church. The bishop told Fr Joe to build a church there and the people would come build their homes around the church. That is what happened and Fr Joe started the parish of the Holy Cross in Santa Cruz. Fr Joe went back to Wisconsin to work again for a few years and then returned to South America as a missionary in Peru to help earthquake victims in 1971. There he built another church to St Joseph and built an orphanage. John Paul II came to El Salvador in 1985 and met Fr Joe who he gave money to complete the orphanage. The orphanage housed six to seven children with a married couple in an apartment. The married couple would help teach them life skills, while the orphanage helped catechize the children and gave them access to the sacraments.Fr Joe was called Padre Jose by the children and worked in Peru there for the rest of his life. He was a simple priest full of passion and joy who loved children and working with the poor. Even at the age of 76, he founded a nursing home and still drove to the rain forest on Sundays to celebrate Mass. He died in 2006 from pneumonia and leukemia at the age of 82 years old. 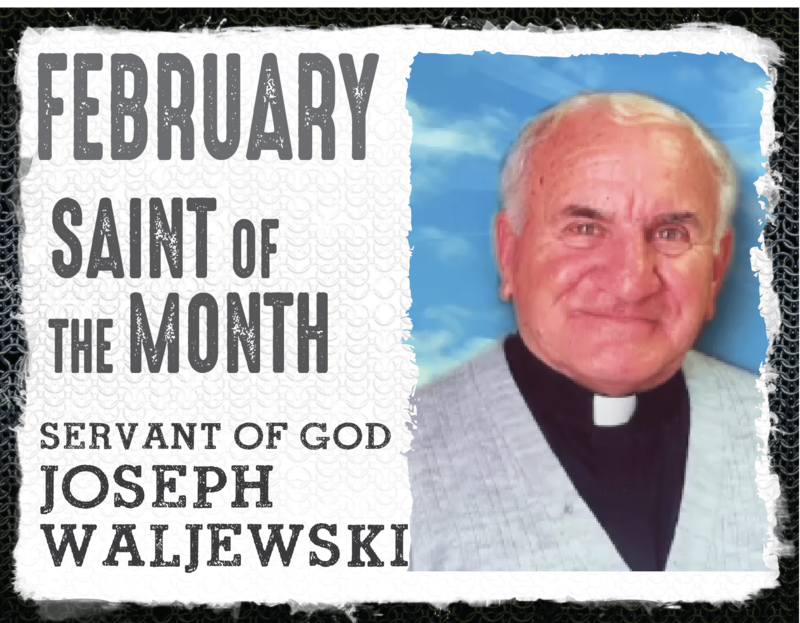 His cause to be a saint was started in 2013 and we recognize him a servant of God.